Wow! 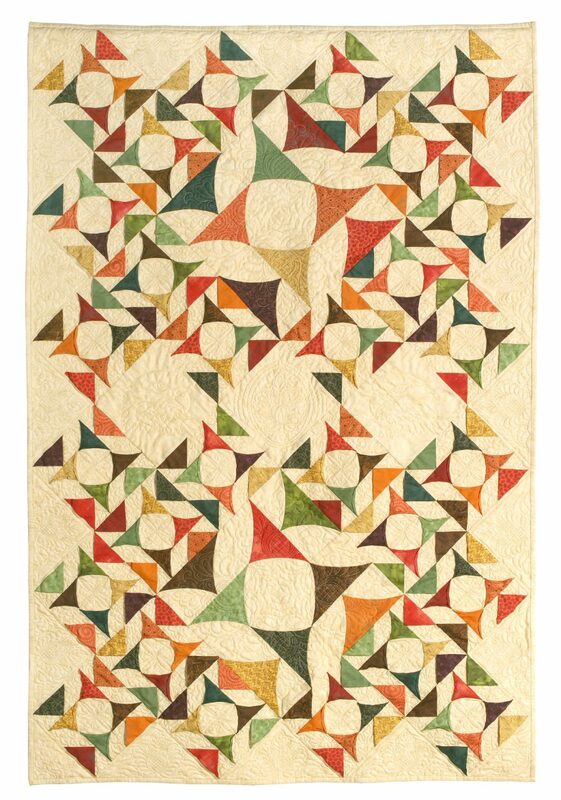 Just look at how this quilt moves! And you can fast stitch this quilt in no time using Karin’s wonderful fast geese techniques. Scrappy white and cream fabrics have been used to create this swirly snowstorm on a dark night but you can change the theme with your own fabric colour choice. Think of leaves blowing around on a blustery day or a whirling sandstorm! In this class you will be shown at least two of the 25 different geese techniques from her book Fast Flying Geese Quilts. Karin will also demonstrate her speed cutting techniques and suggest ideas for quilting and embellishment. Machine and hand sewing suitable for beginners but also fun for the more experienced. 1 day class. Wilderness Storm is Karin’s latest quilt, doubling the design. She is teaching this on a 2016 Alaskan Cruise, organised by Stitchin Heaven Travel USA.